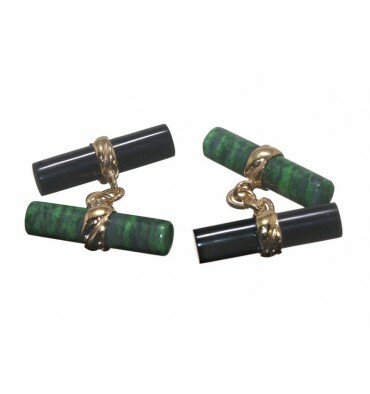 These are the new mixed doubles that will be proudly worn and gifted. 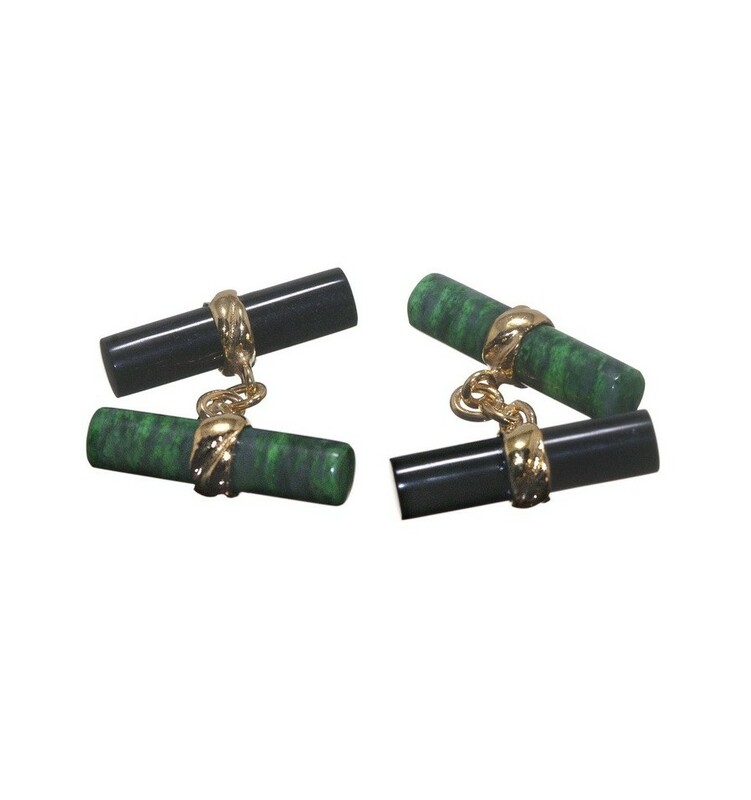 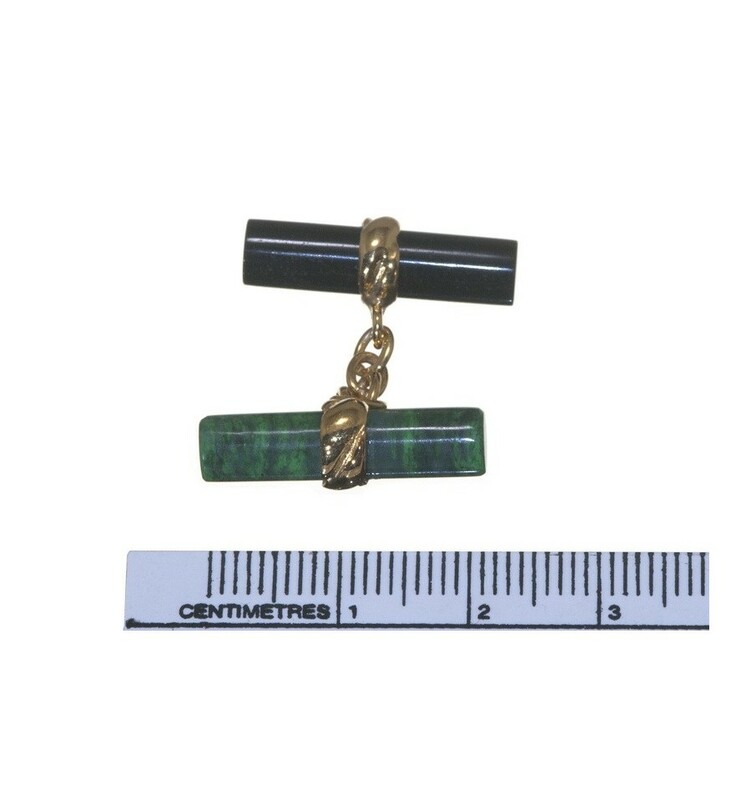 The design for these mixed imperial cuff links combines jade albite and black onyx cylinders joined by a gold plated sterling silver chain. 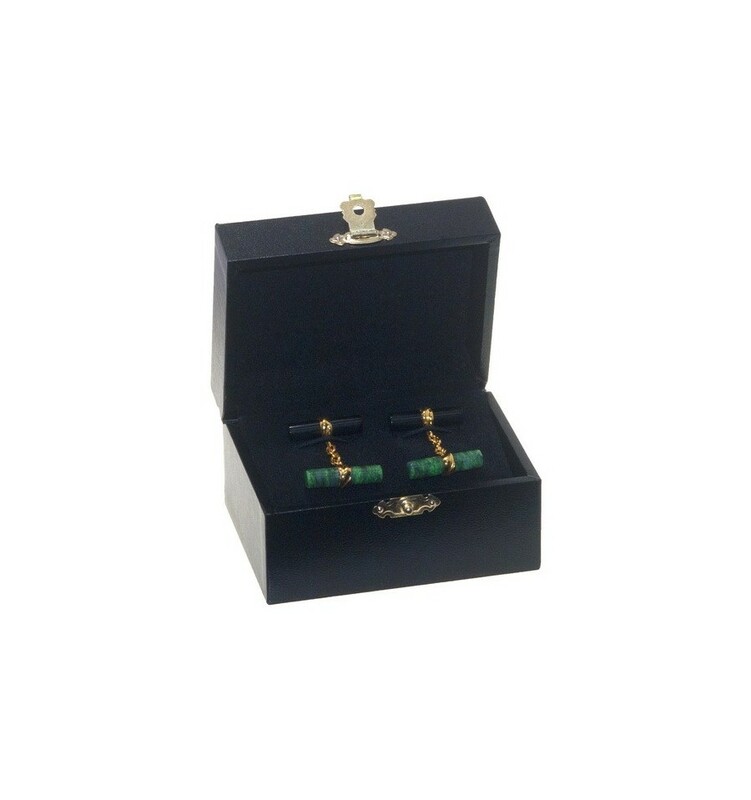 Free, Worldwide register delivery includes a smart gift case, full insurance and our complete 30 day replace or refund warranty.